Many people don't realise Malta's charms extend beyond the shores of the main island - to Gozo, the smaller, quieter island to the north, with more of an Arabian look to its smattering of pretty towns and some of the world's best diving sites. The stunning landscape is marked by beautiful churches and charming villages that are ripe for exploring. 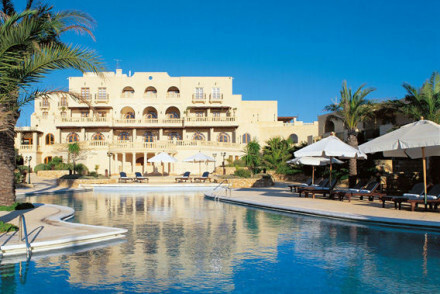 The Hotel Guru's pick of the best places to stay in Gozo ranges from a chic guesthouse to five star luxury resort. Things to not to miss:. Divers know about the 'Inland Sea', a deep hole illuminated by fluorescent corals, and the 'Azure Window', but even surface-dwellers can experience some of their wonder looking overboard from one of the little tour boats. Rabat is the island's largest town, topped by an impressive fortified citadel. The streets spread outwards like a spider's web, along which the square buildings gather. Folks here value their peace, and it's only been in the last decade or so that people have started driving cars instead of horse and carts. But it's not just Rabat where peace is valued, this is the warm blanket enveloping all of Gozo. Gozo does have one tourist site, Ggantija, two temples made from giant, freestanding stones. A UNESCO World Heritage Site a thousand years older than Stonehenge and just as atmospheric, mysterious and humbling. There are other archaeologically interesting reserves on the island as well, if you fancy poking through the wild herbs and gladioli. For such a tiny island there are a large number of churches and wherever you are on the island you'll be within the sound of church bells pealing. Gozo also has one particularly large church at Xewkija - with the third largest unsupported rotunda in Europe. This island is so devout, that they built this new church on top of their old church, before dissembling their original church and rebuilding it elsewhere. Gozo is perhaps Malta's best kept secret with gorgeous scenery and a peaceful atmosphere. The people are at the heart of the place and our selection of the best places to stay in Gozo keep the island's delightful hospitality at the fore of their service. The Kempinski Hotel San Lawrenz is one of the best places to stay on Gozo for divers and those who love a dramatic coastline. The hotel's beautiful pools, manicured gardens and award-winning spa serve to highlight the drama of the wild, natural surrounds. Ta' Cenc is a luxurious eco-retreat within the grounds of a bird sanctuary, so it's all about getting back to nature in a five star environment. 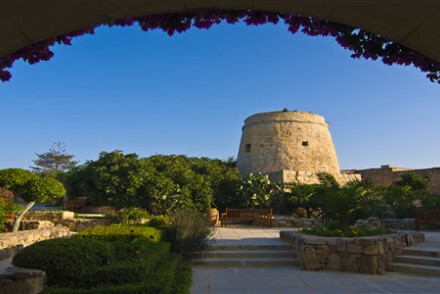 Borrowing from southern Italian influences into the island the hotel is made up of delightful ground-level trullis. 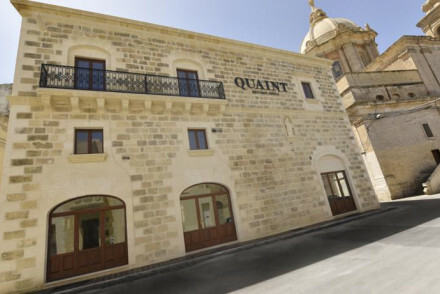 Stylish and simple, the Quaint Boutique Hotel is an excellent option for a trip to Gozo. Housed in a historic building, the interiors have been modernised to create chic rooms and an atmospheric bar. Superb value for money. For something a little more private, browse the options at our online partner Booking.com. For travelling to Gozo, you'll have to fly to Malta International Airport at Valletta. From there head north to Cirkewwa port to catch a ferry on to Gozo. Gozo has a great all year round climate and the best time to go is from February to June. This will let you escape the summer crowds and the searing summer heat. Browse through our list of all the best places to stay on Gozo. The Quaint Boutique Hotel provides an excellent, cost effective service in Nadur. The stylish bedrooms combine historic building features with modern, chic interiors. Offering spacious, comfortable rooms and an atmospheric bar, it's the perfect launchpad for a few days on Gozo. Romantic Break - Smart, stylish rooms with the beautiful island of Gozo on the doorstep combine to make it a great spot for a romantic break. Value chic - The perfect chic base for exploring the stunning island of Gozo, without breaking the bank. Sights nearby - Take a day trip to the stunning Azure Window. Local markets - Browse the bustling local market in Nadur. A chic B&B just steps from the sea, with Mediterranean-inspired decor, spacious rooms and simple comforts. 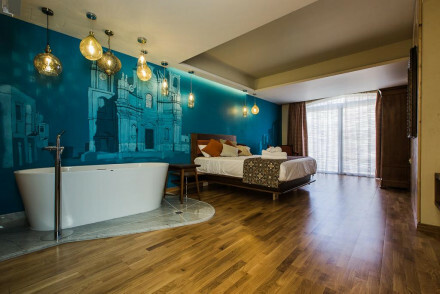 Individually styled rooms feature floor to ceiling windows, wooden floors, bold hues and some have balconies with views of the sea. a charming base to explore the island from. Active Holiday - The hotel works with local groups to organise everything from bike rental and segway tours to scuba diving and horse riding. Beach Life - Malta is regularly voted the best place for scuba diving in the Mediterranean. Murella is 100 yards from the sea. Diving - Set out in the clear waters to discover the island's marine life. A luxurious palace with epic views, on Gozo Island. Beautiful pools, manicured gardens, and lovely private balconies. Cooling stone interiors, fantastic Mediterranean food and an award-winning spa. Perfect for relaxation, beach life and families. Families - There'e a kids club will keep little ones entertained, and tennis courts, two pools, hot tub and hammam to keep you happy! Romantic Break - An indulgent retreat- with candlelite dining, romantic boat trips, serene secluded suites and couples spa treatments. Diving - Explore the submerged caves, tunnels and arches with an experienced guide. Sights nearby - Visit the Citadel fortified during the Bronze Age around 1500 BC.